Welcome to the Brooks Ranch website. We are located in the SW corner of North Dakota. 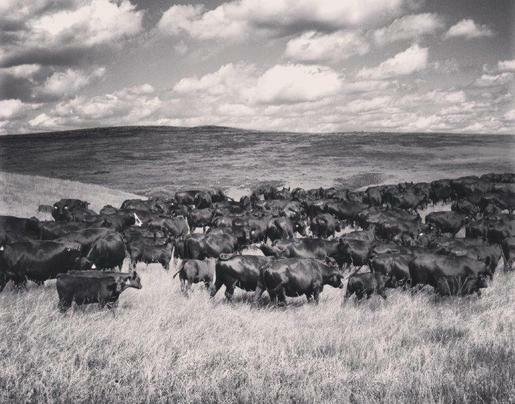 We have been raising registered Angus cattle for many years. This is our 17th year selling bulls private treaty. Brooks cattle are from a solid breeding program and good genetics. We use both A. I. and natural sires, to produce good solid bulls to both registered and commercial cattle operations. Our bulls are not pushed hard to gain fast, but are fed a steady ration to give you a bull that won't fall apart in the pasture when they are needed the most. Our bulls have access to pasture up until we bring them home in March to start the sale. Our bulls have muscle, not fat. They are given pasture to run, not a feed lot to stand in. We do not clip, comb or burn our bulls, they are in their work clothes.